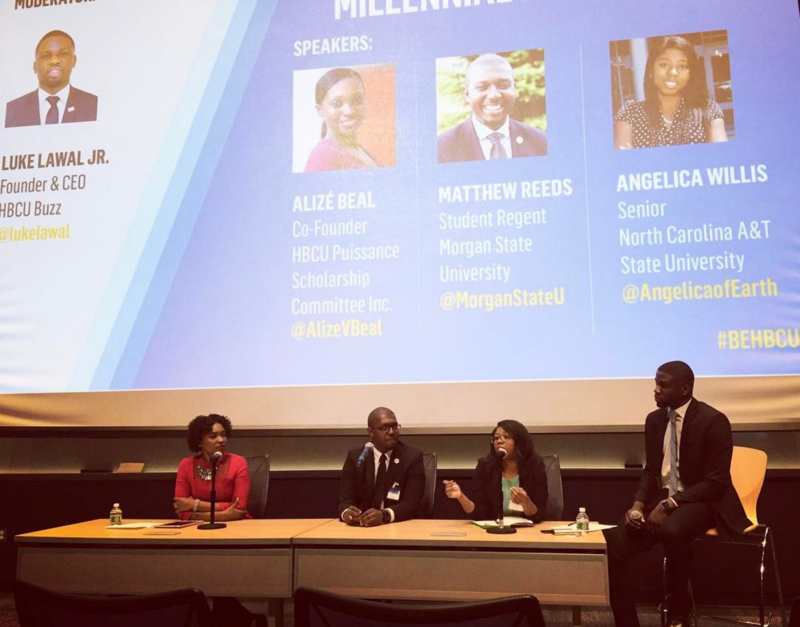 Black Enterprise BE Smart HBCU Summit - Luke Lawal Jr.
Luke Lawal, founder and CEO of HBCUBuzz, served as the HBCU Millennial Minds Matter panel moderator for the 2017 Black Enterprise Be Smart HBCU Summit held at the Graves School of Business and Management. This year’s summit focused on providing HBCU students in the DC, Maryland and Virginia area with a pipeline to leadership that would ultimately help them secure both entrepreneurial and professional opportunities in the digitally expanding 21st century. With opening remarks from Earl Butch, the President & CEO of Black Enterprise, over the course of two days, the summit hosted panels that focused on harvesting talent for corporate America’s future. The panel the HBCU Experience: Millennial Minds Matter, moderated by Luke Lawal, focused on a combining of the minds and ideas of both HBCU students and alumni and their take on current curriculum, experiences and readiness for the corporate arena both domestically and globally. The Be Smart HBCU 2017 Summit concluded with a panel moderated by Derek Dingle, Senior Vice President and Editor in Chief of Black Enterprise that tackled solutions to combat the lack of diversity currently present in Silicon Valley. In association with the Bill and Melinda Gates Foundation, the annual Black Enterprise summit focuses on the obligations and responsibilities of educators, administrators, corporations and advocacy groups for improving education.